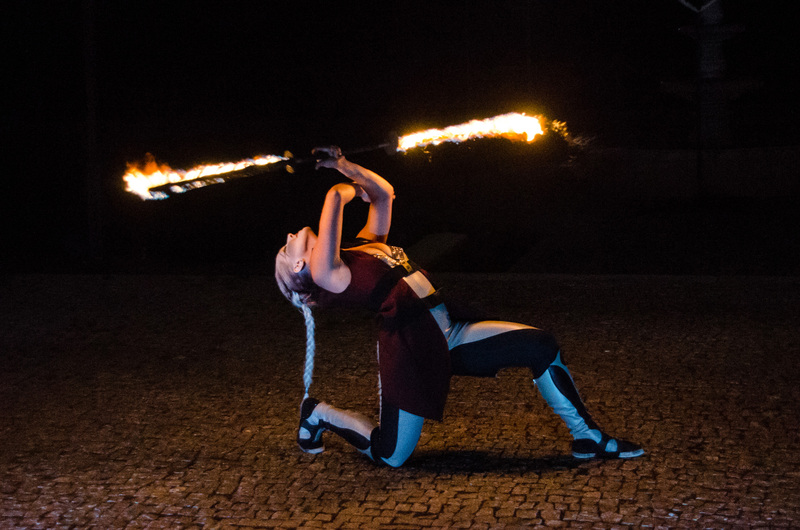 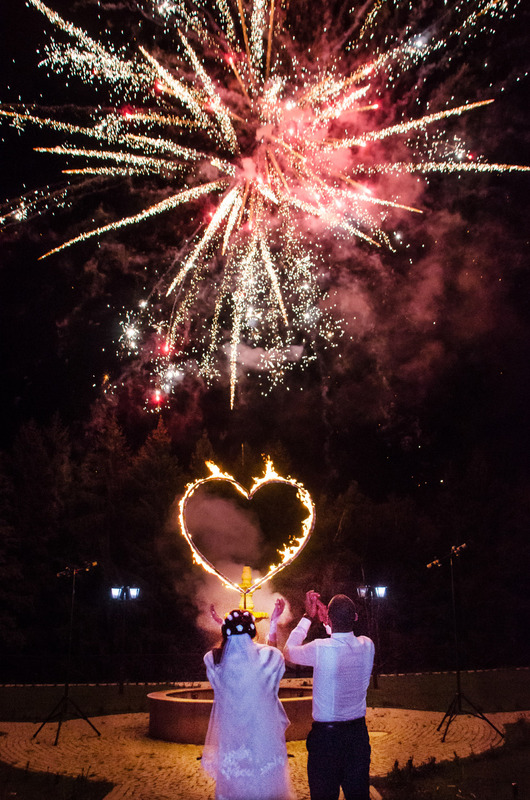 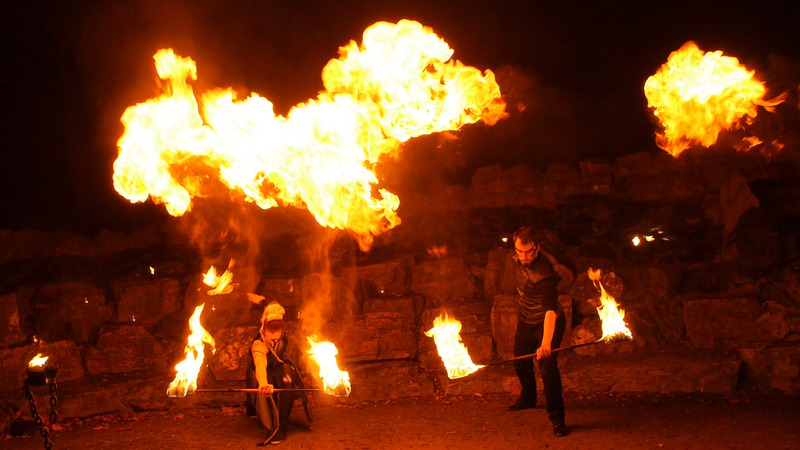 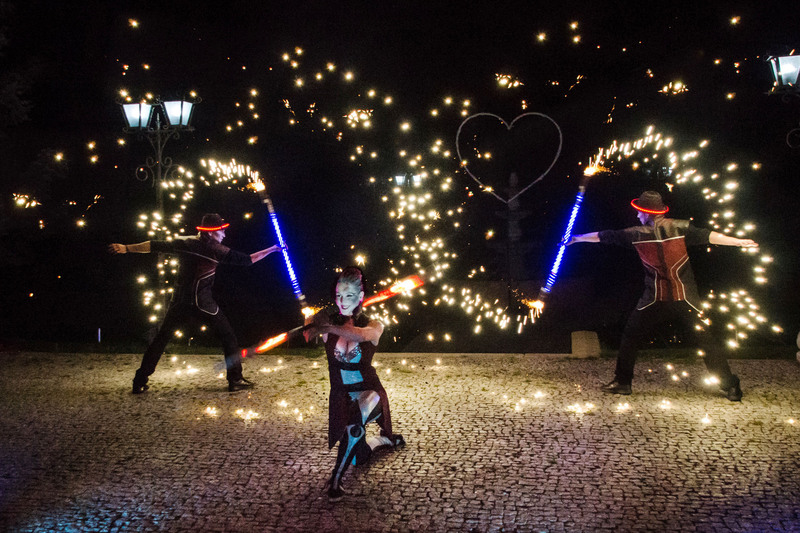 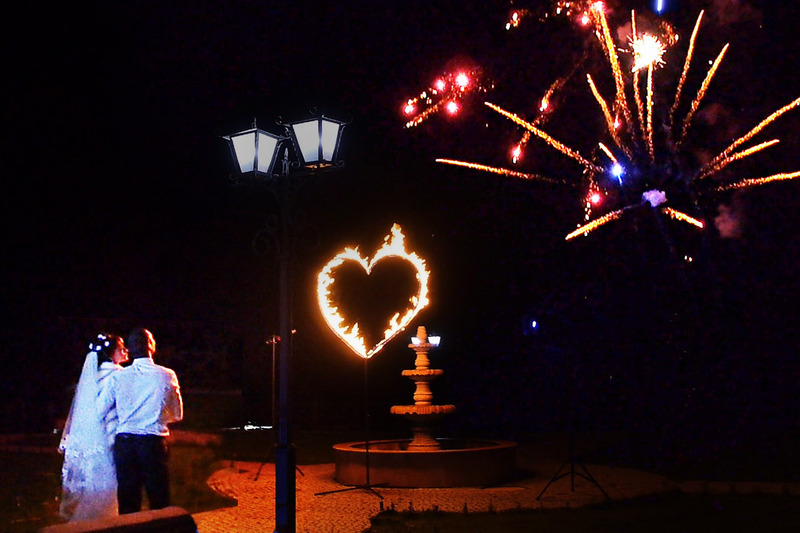 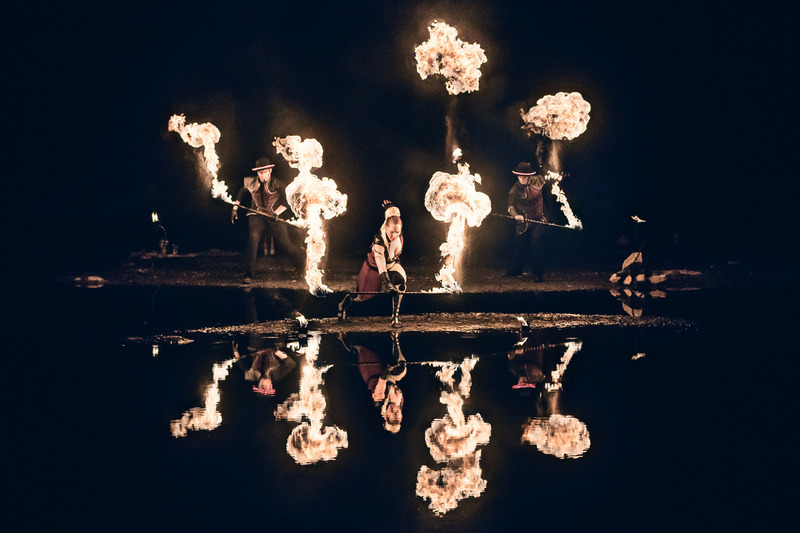 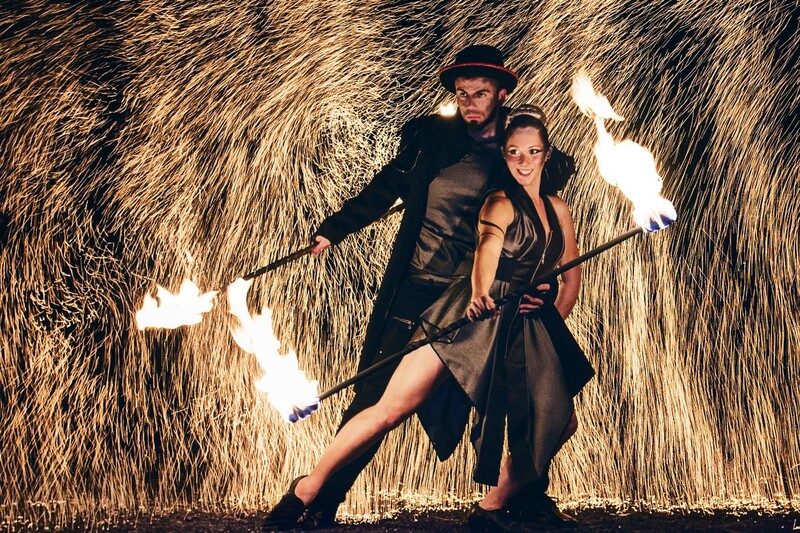 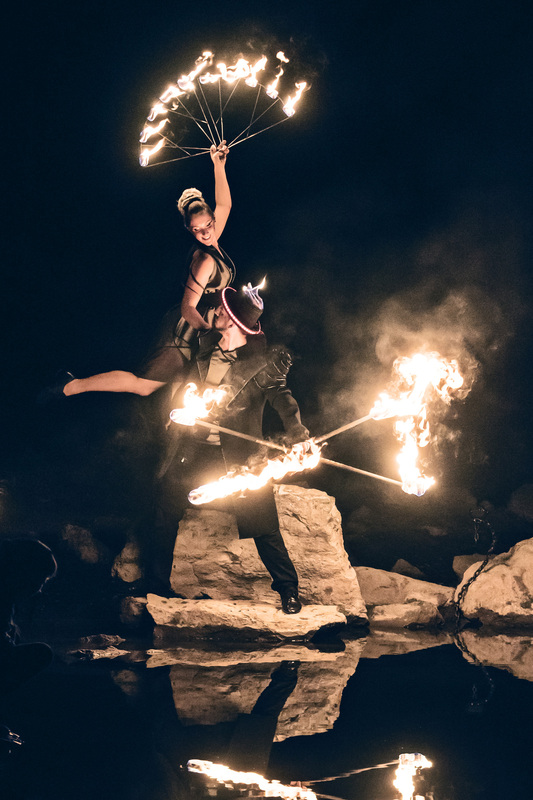 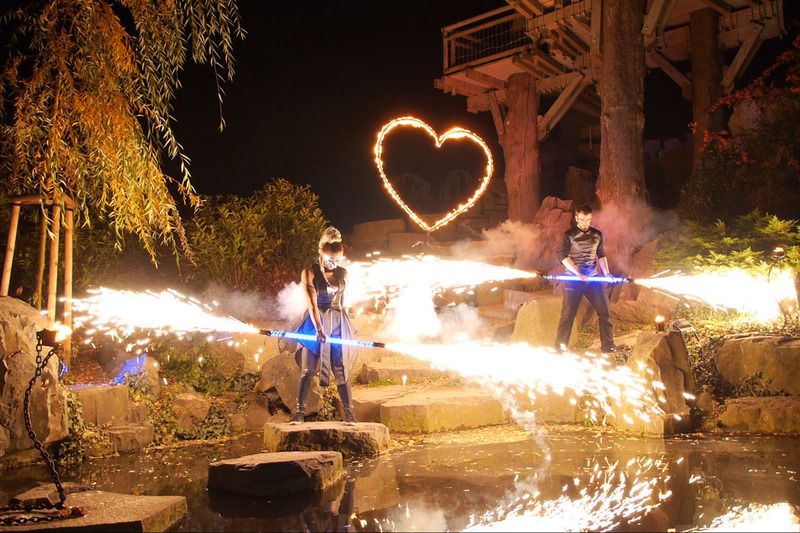 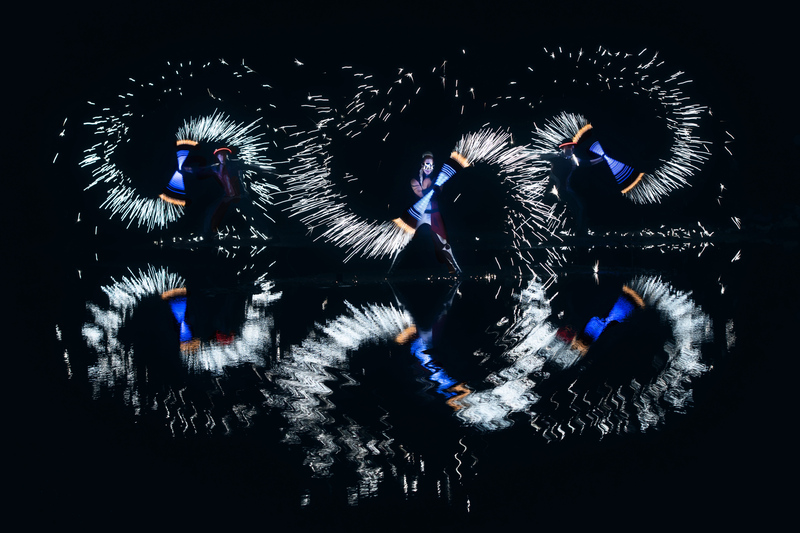 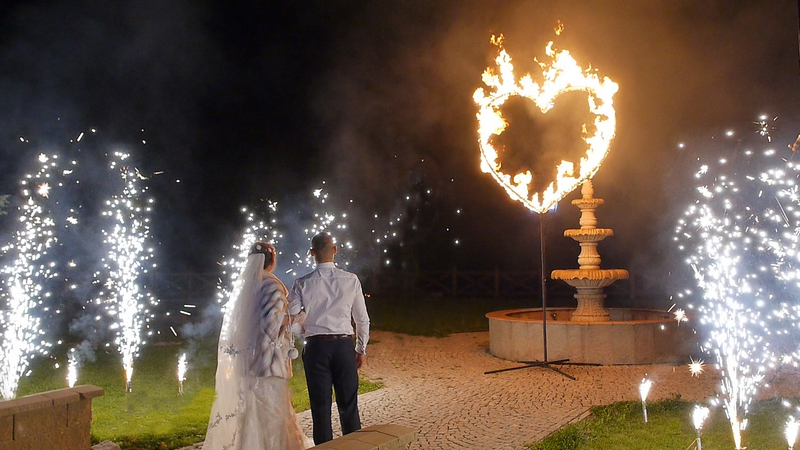 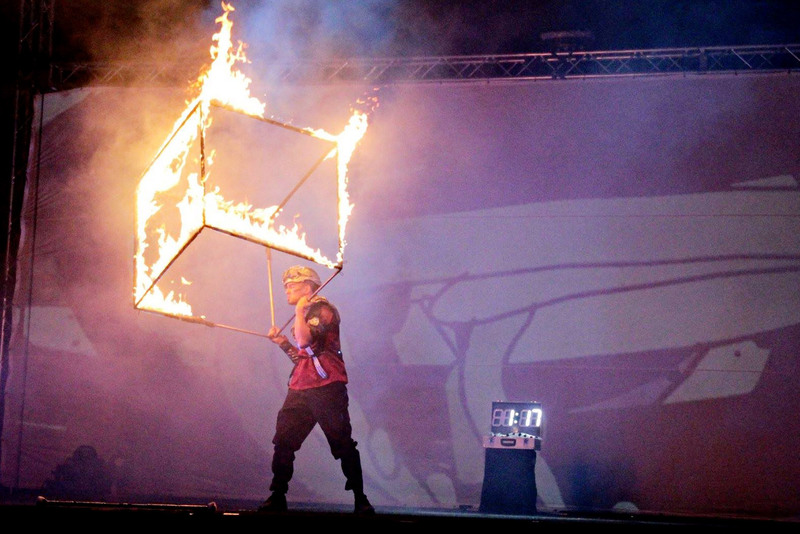 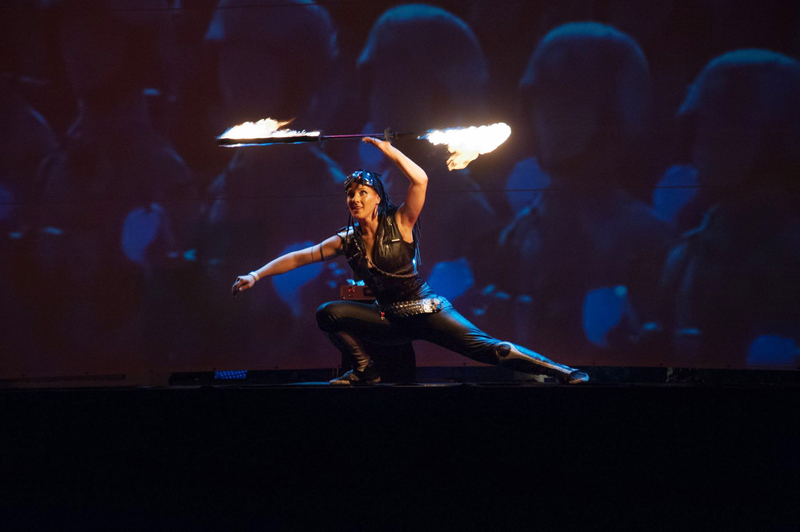 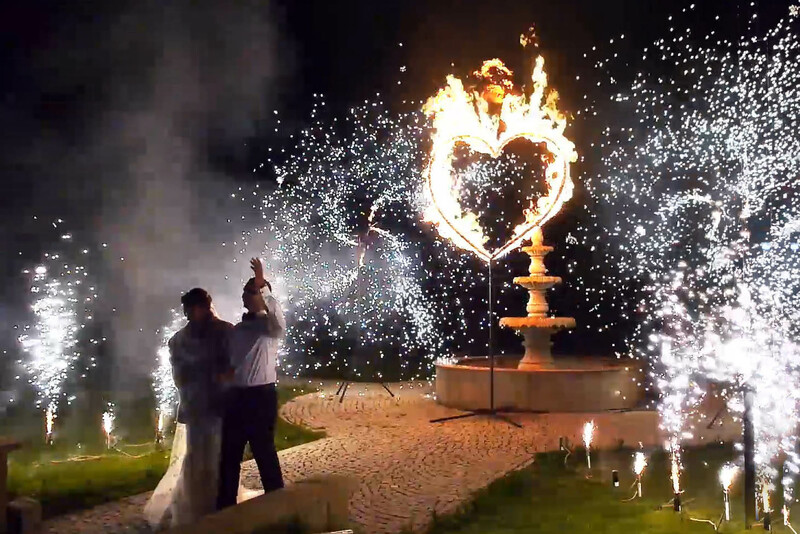 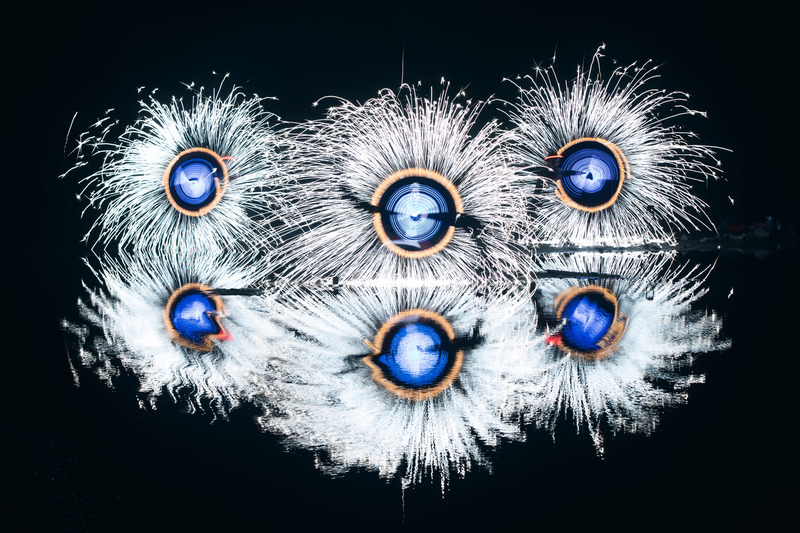 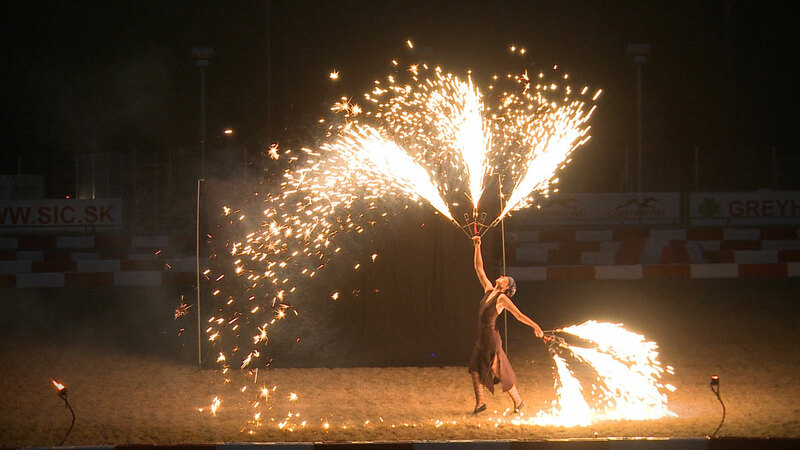 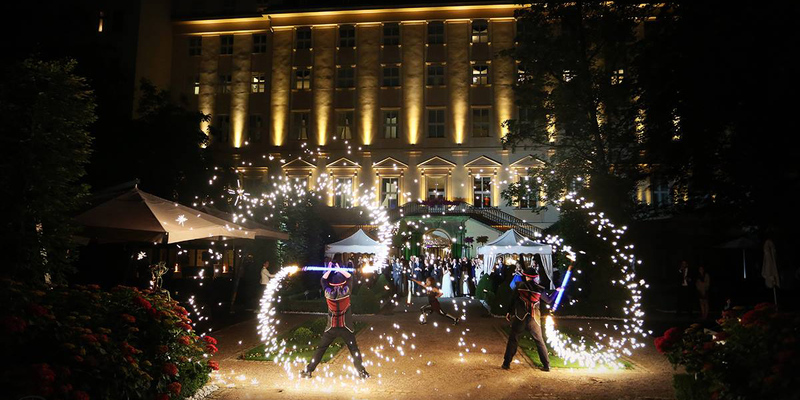 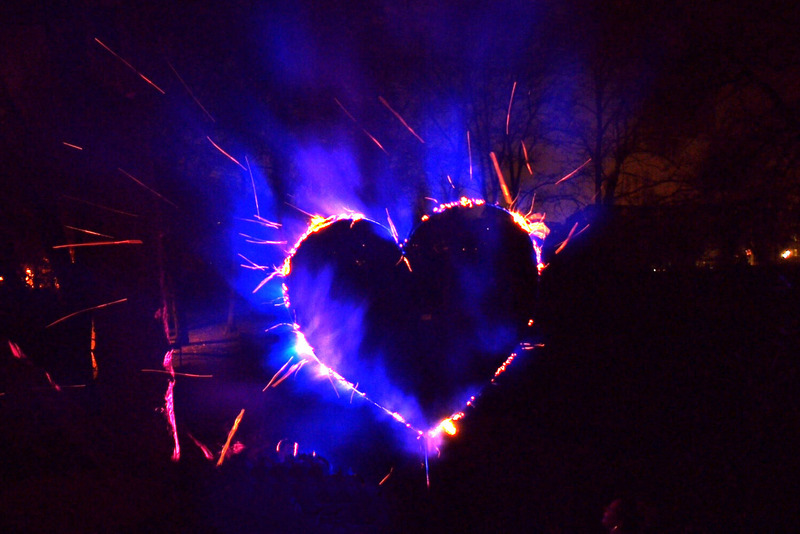 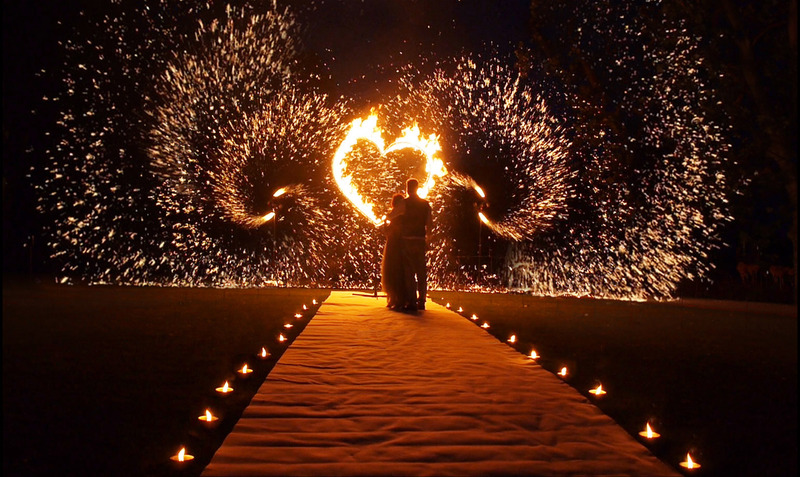 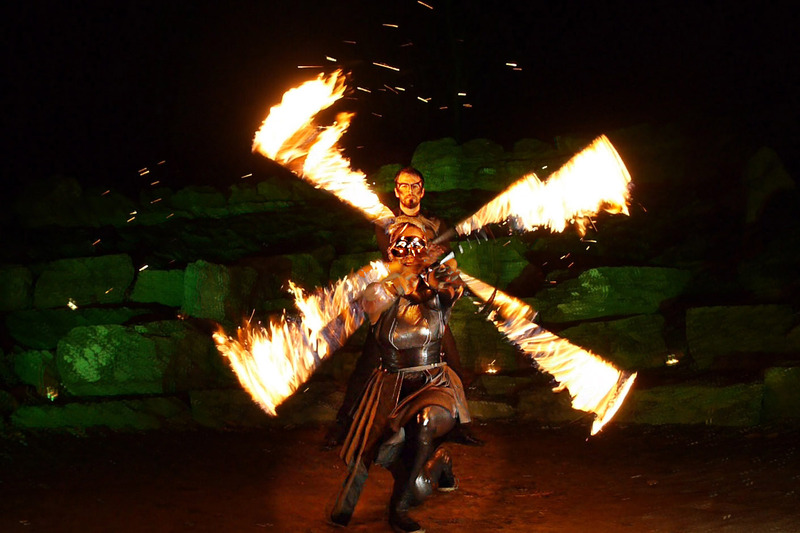 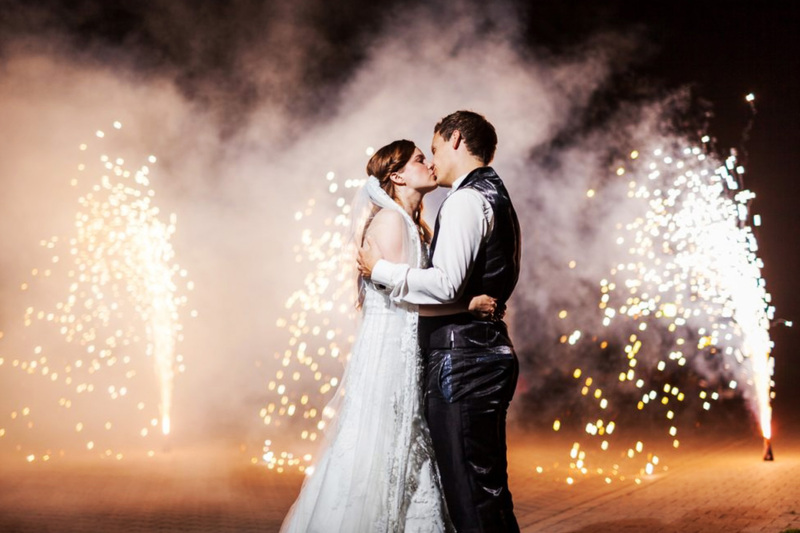 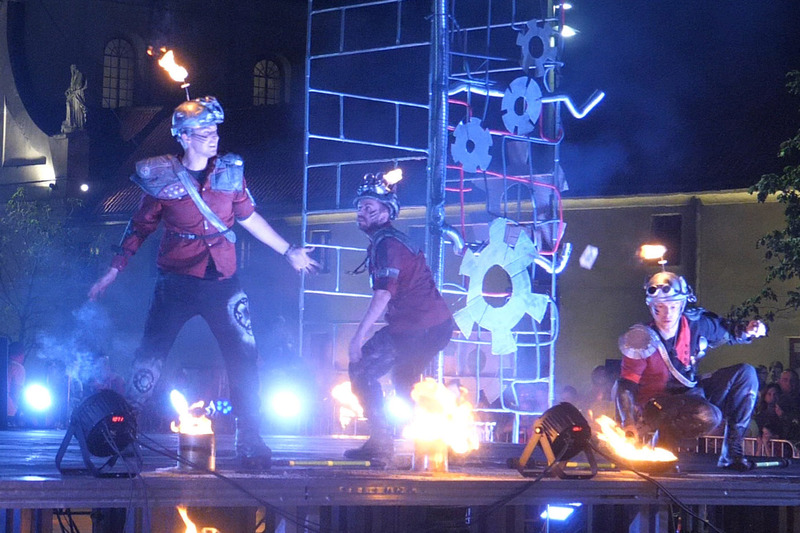 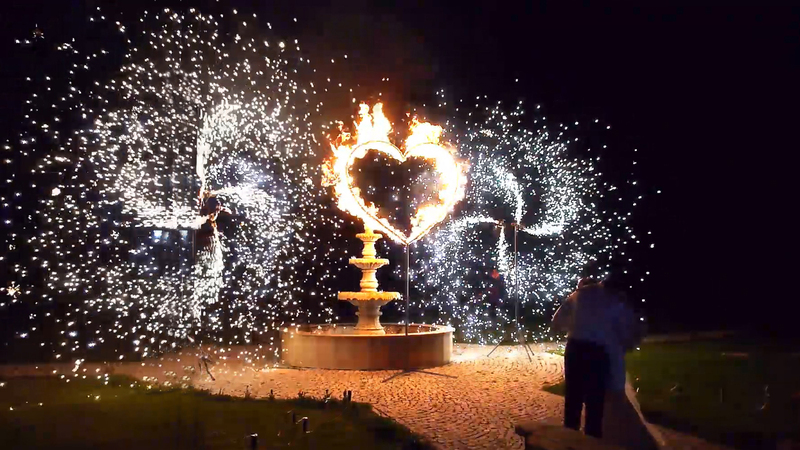 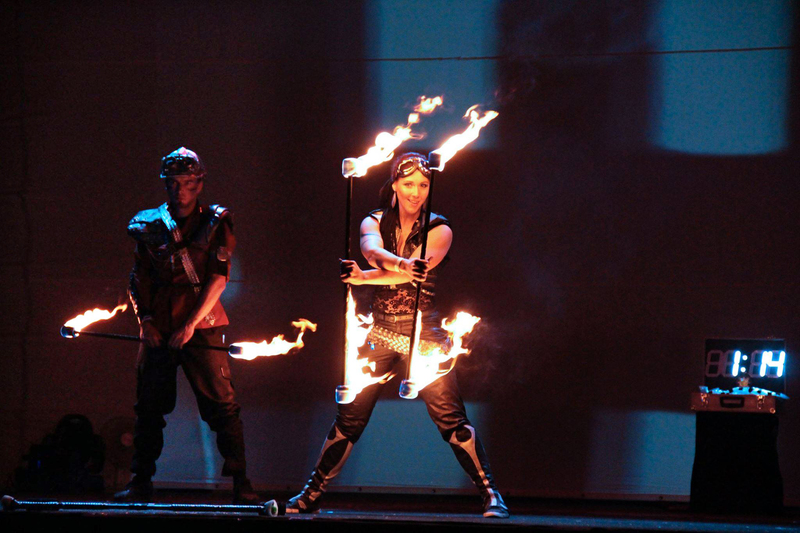 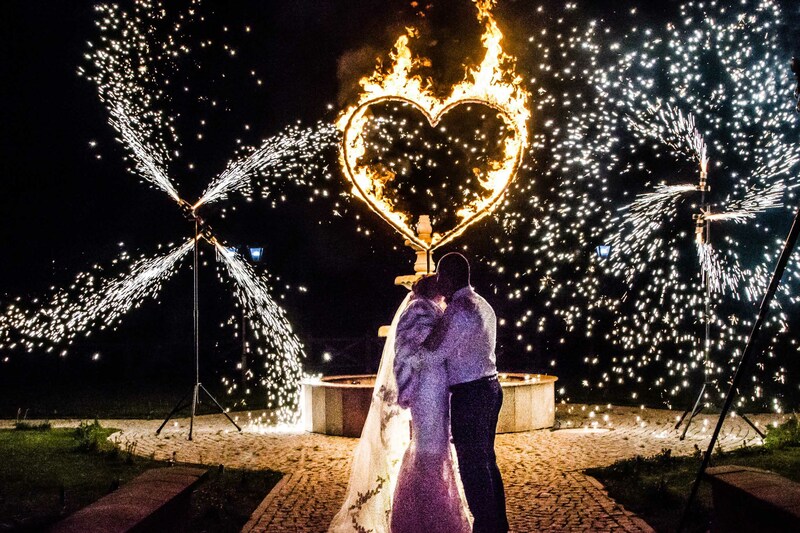 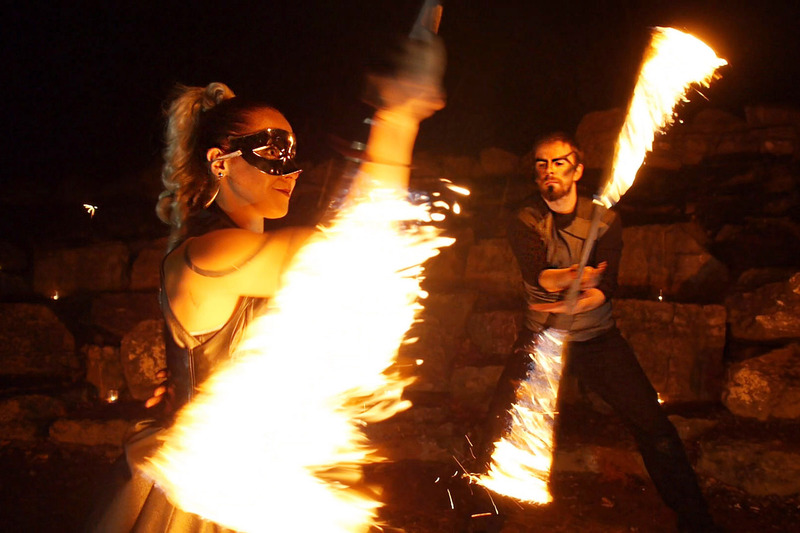 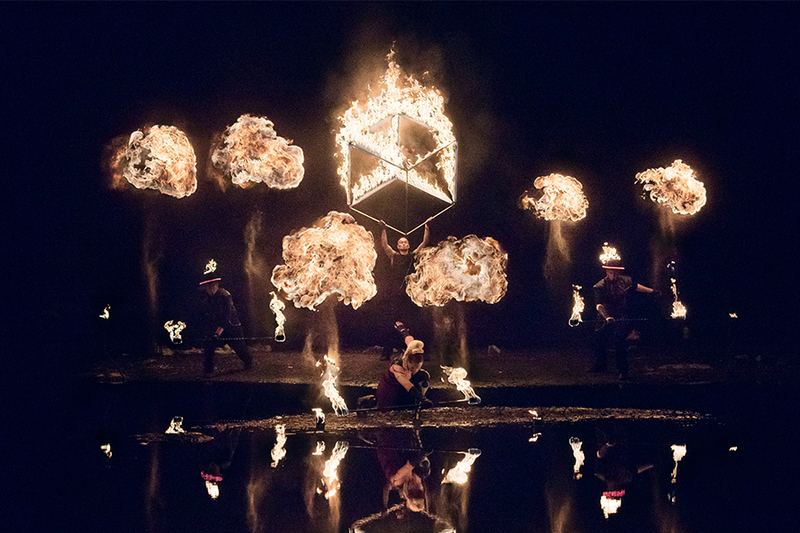 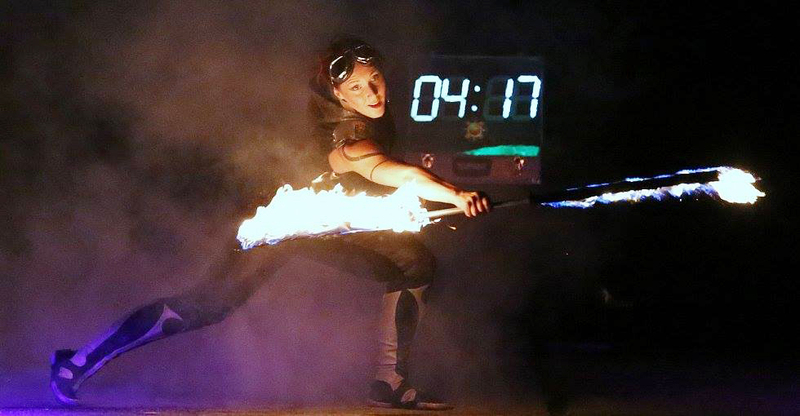 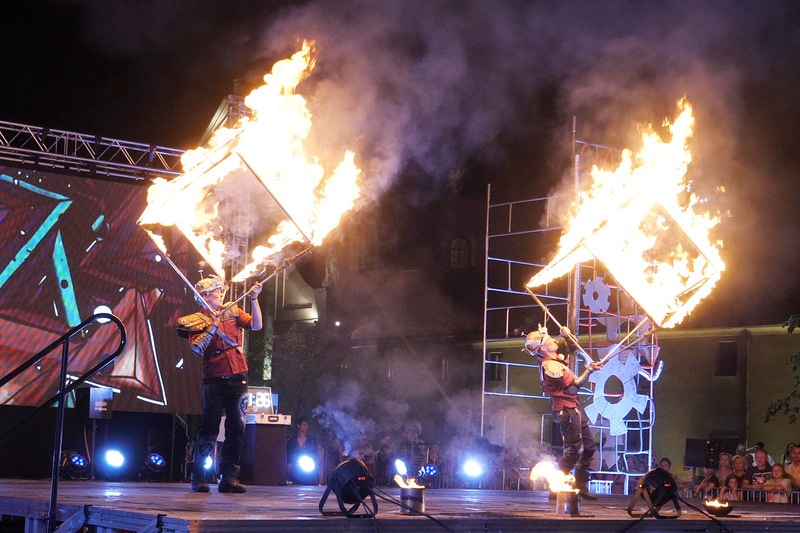 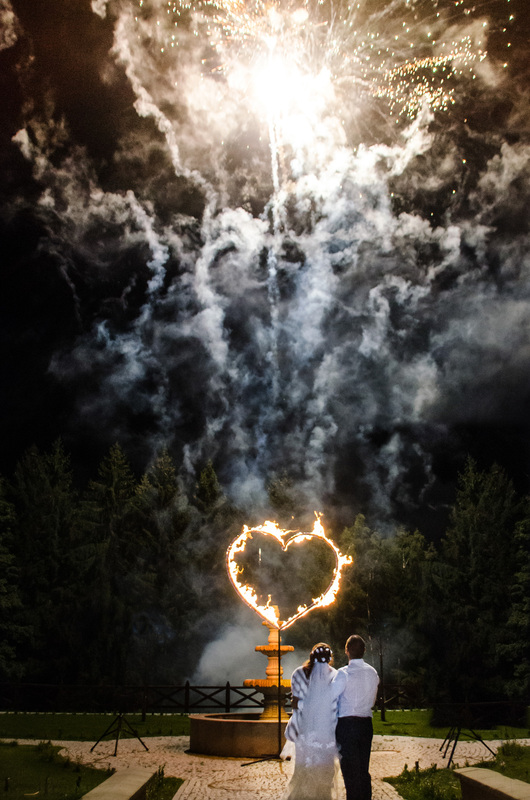 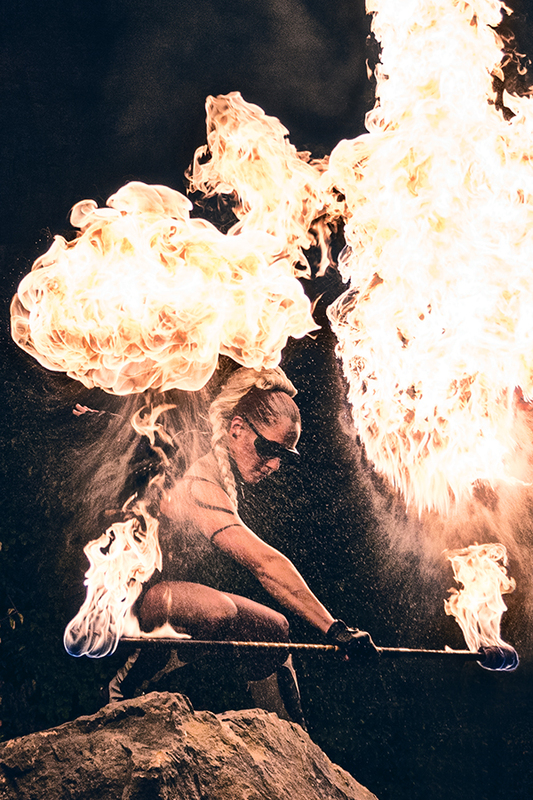 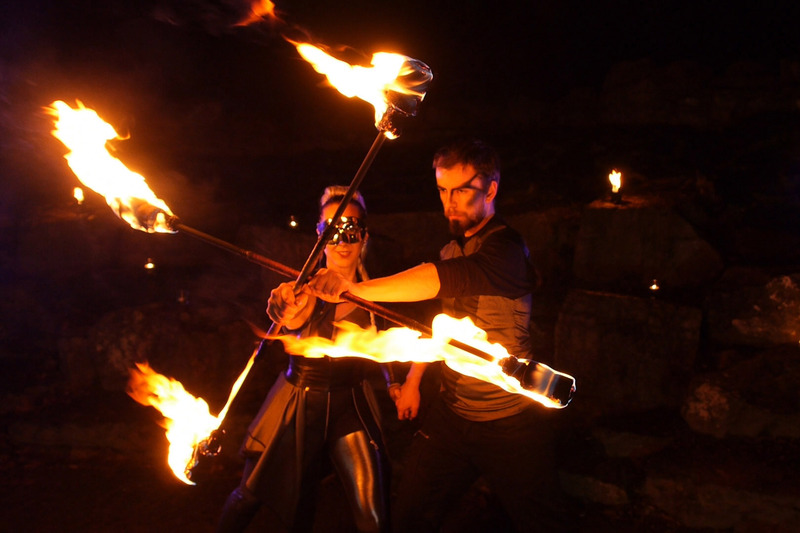 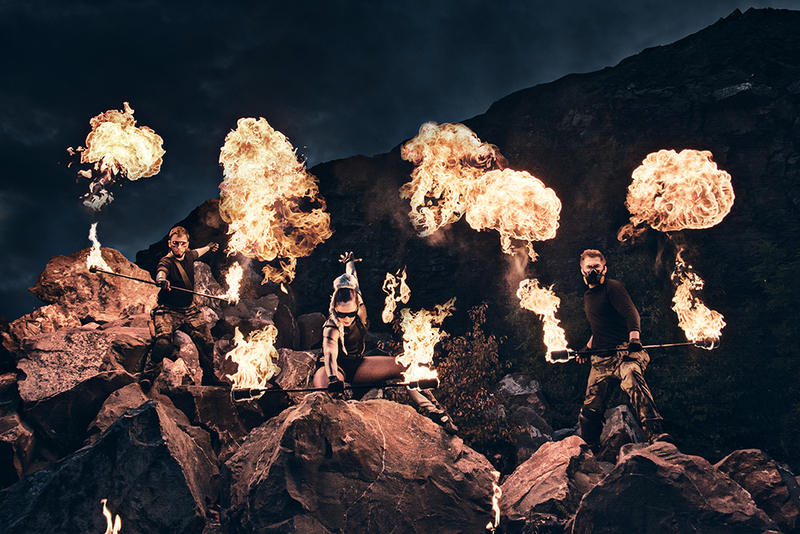 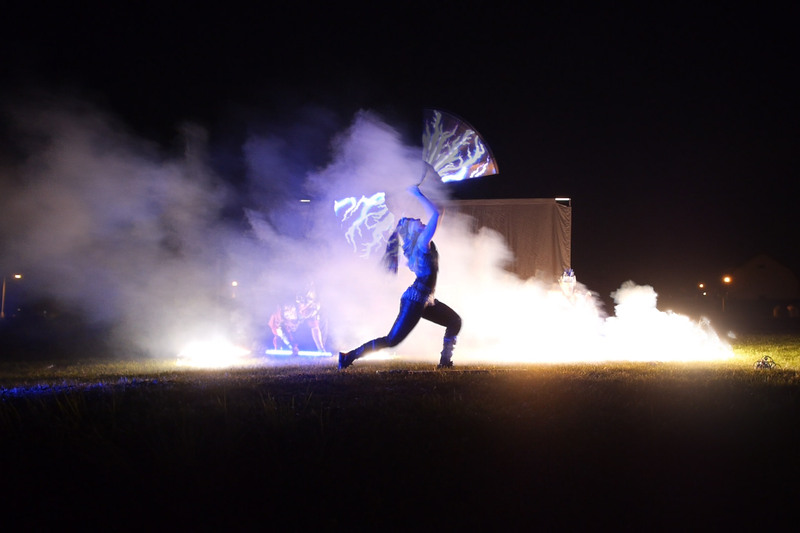 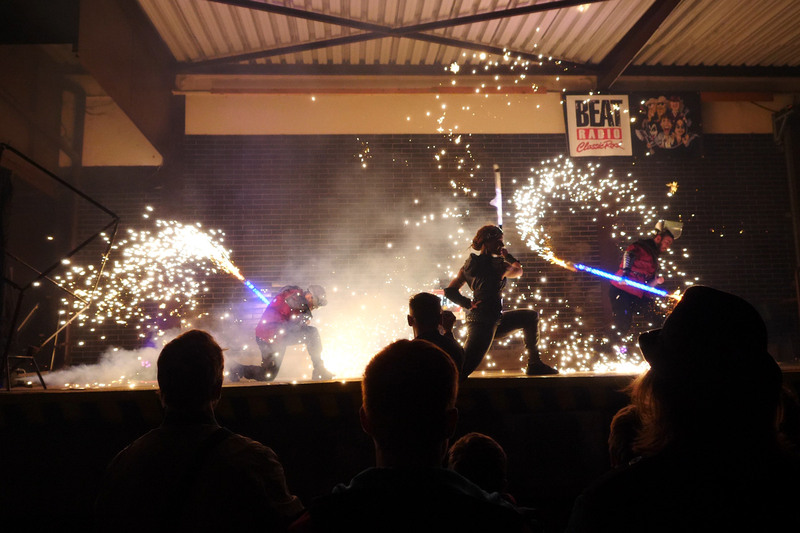 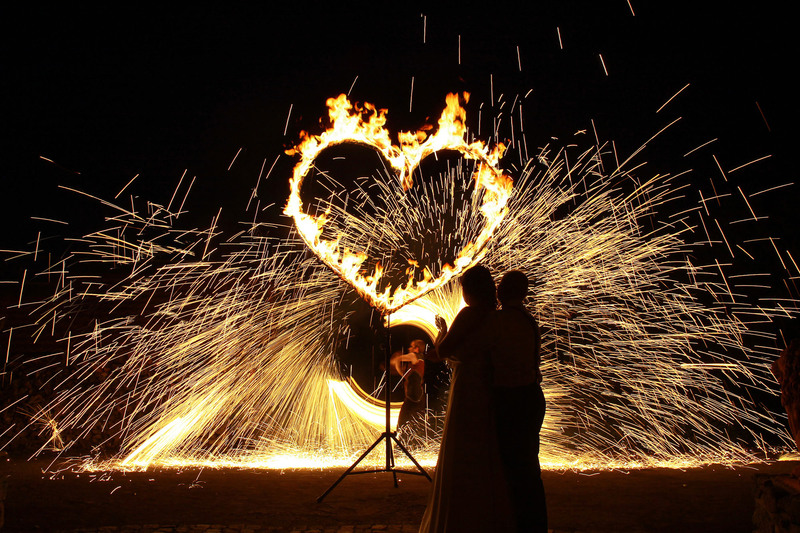 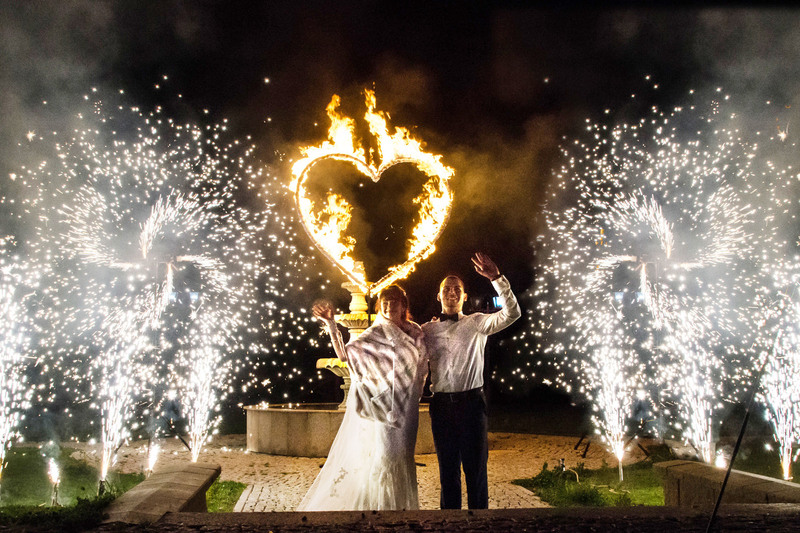 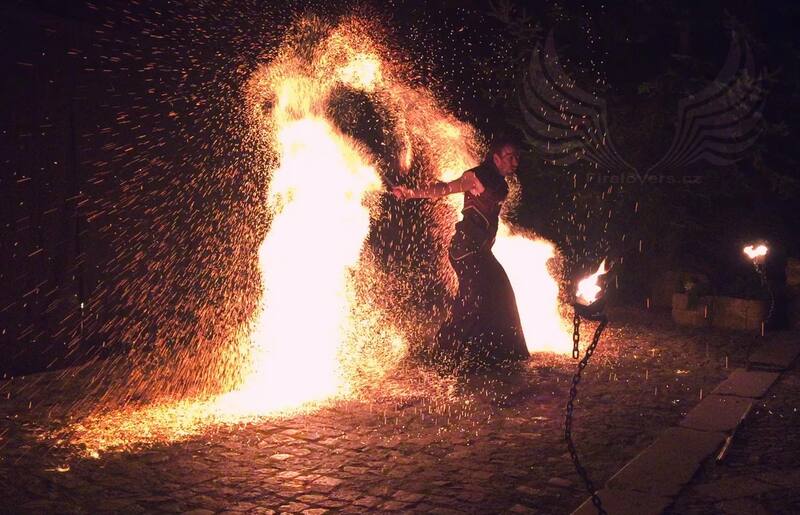 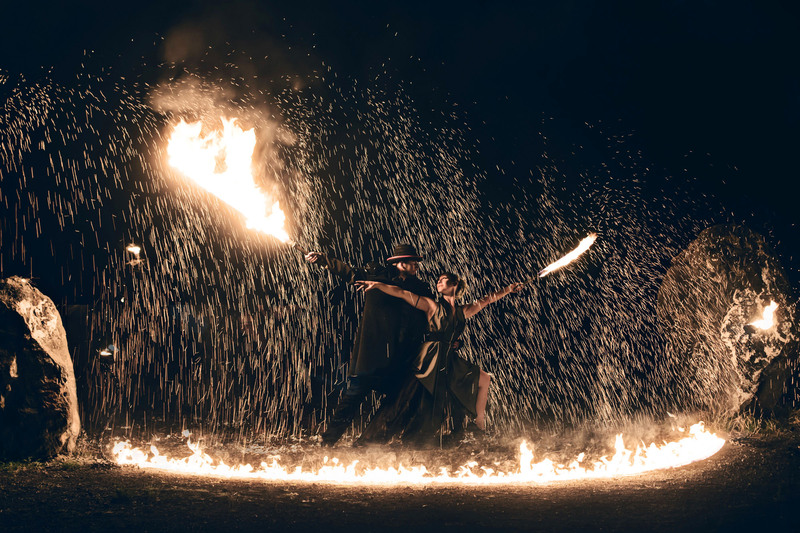 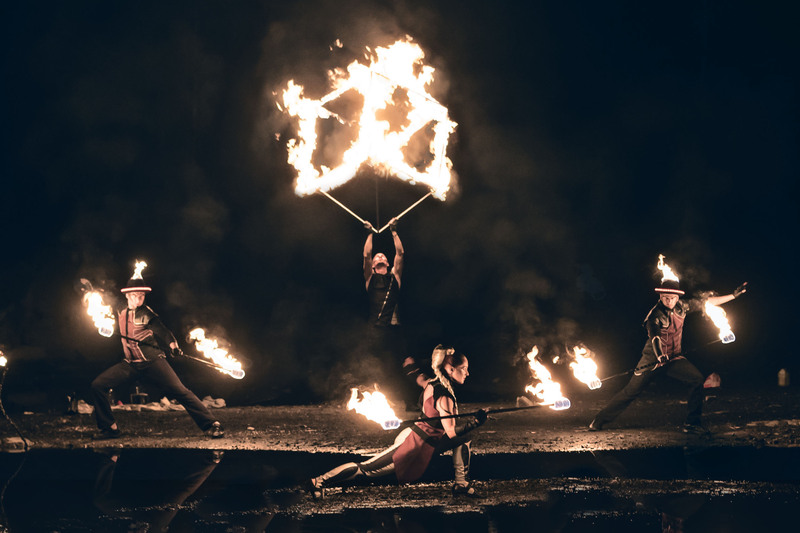 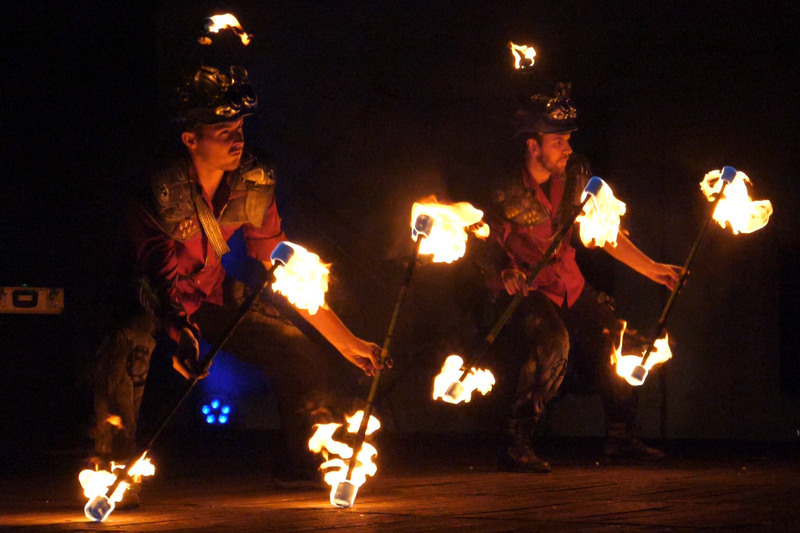 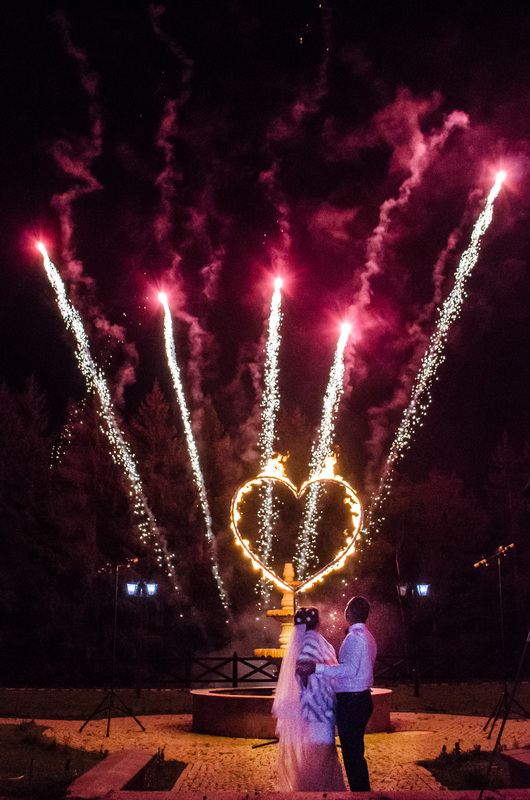 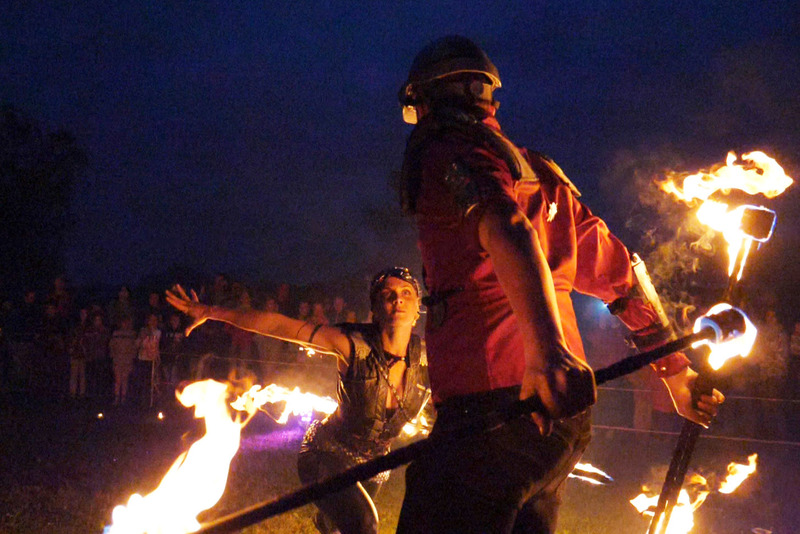 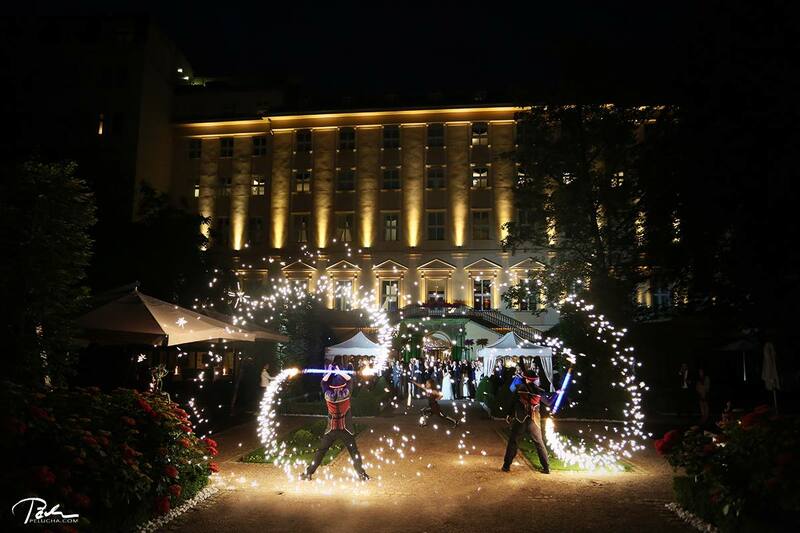 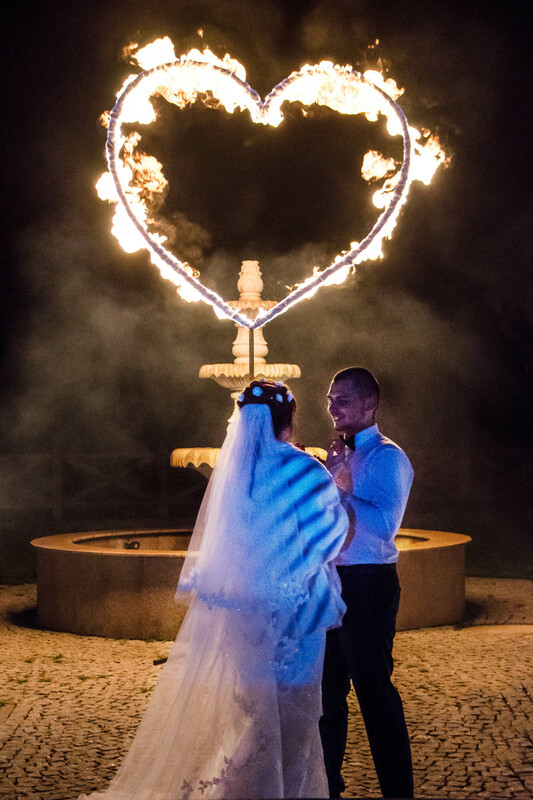 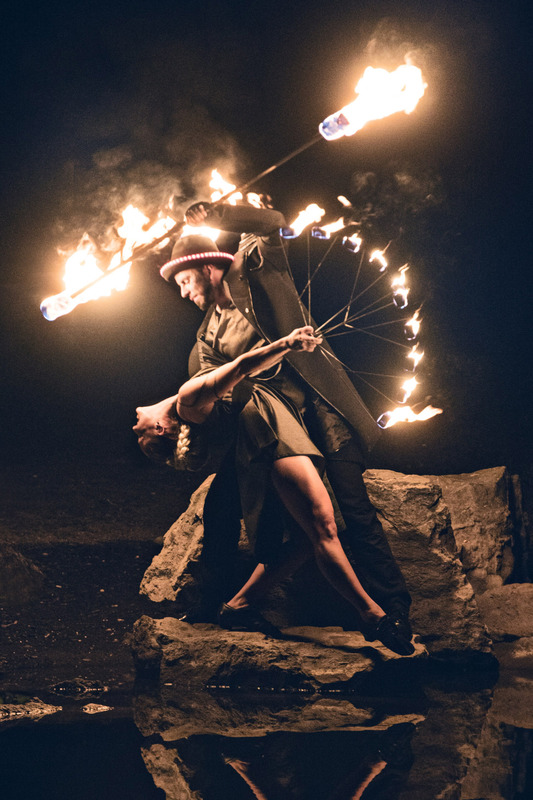 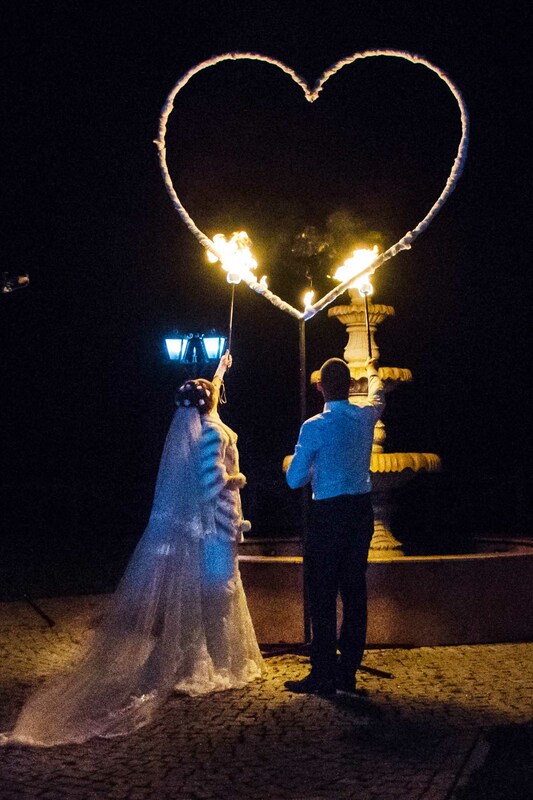 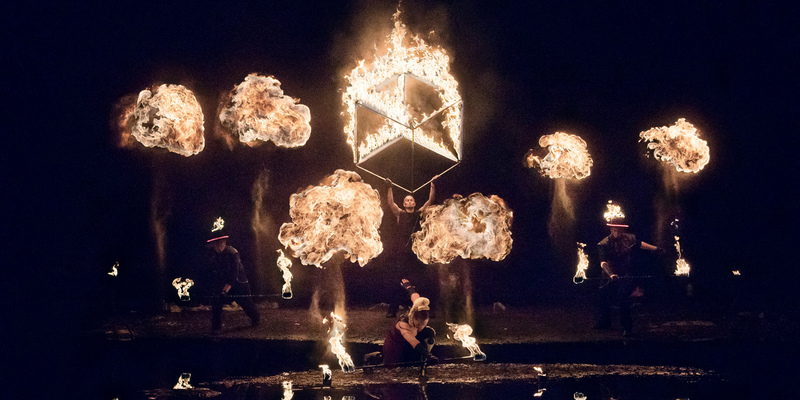 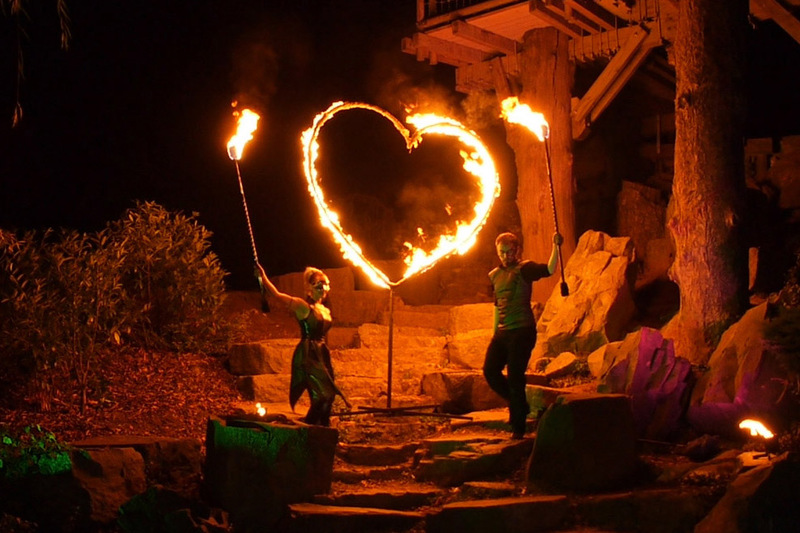 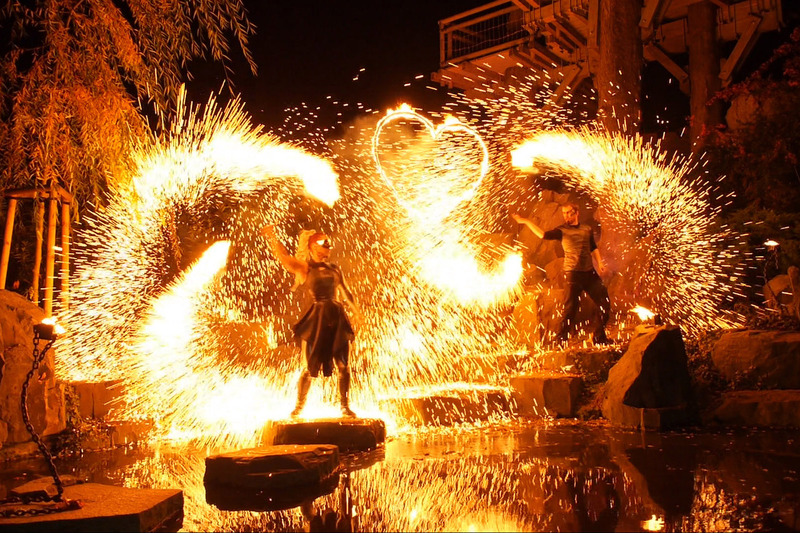 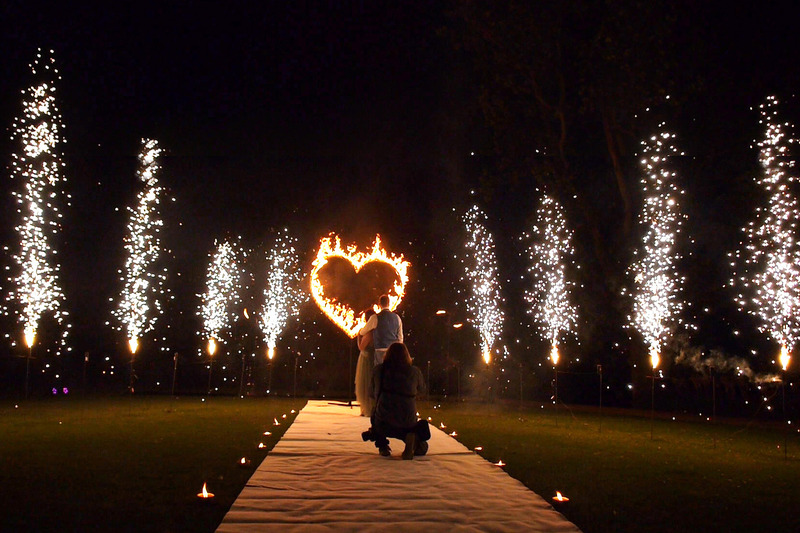 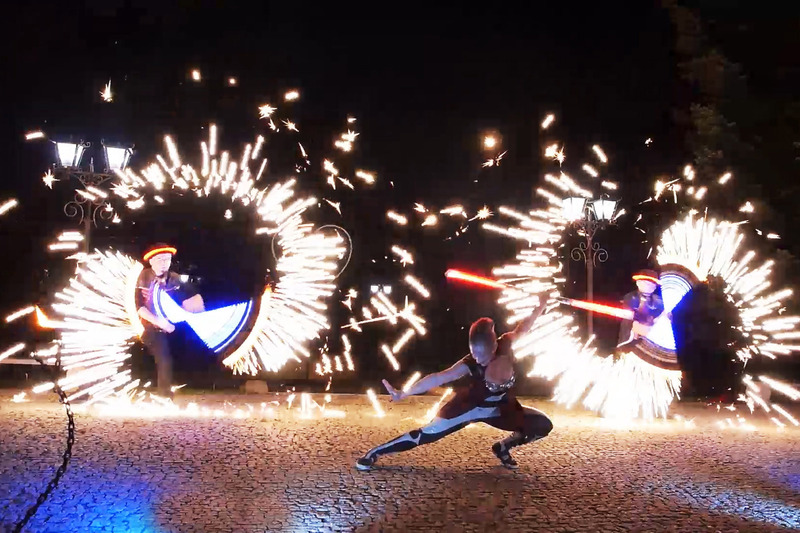 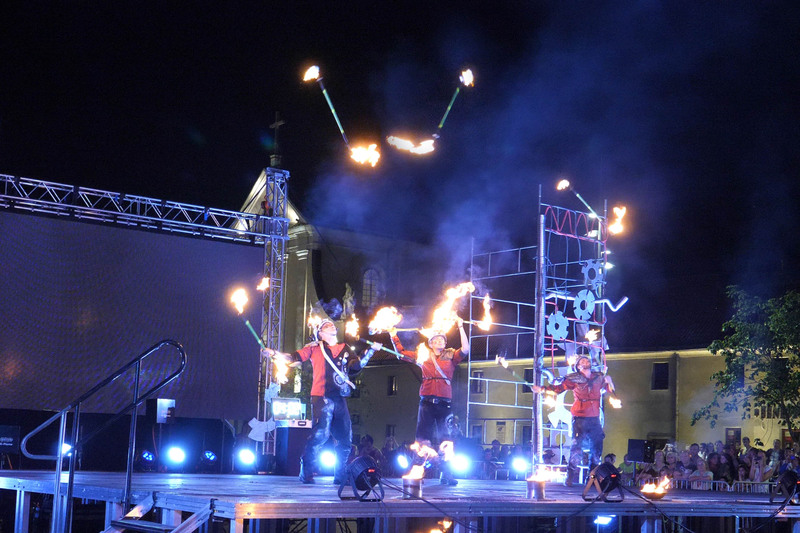 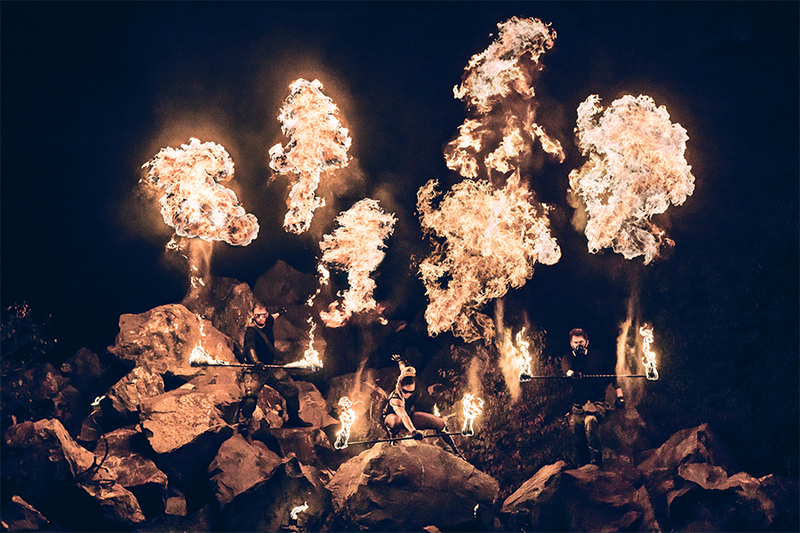 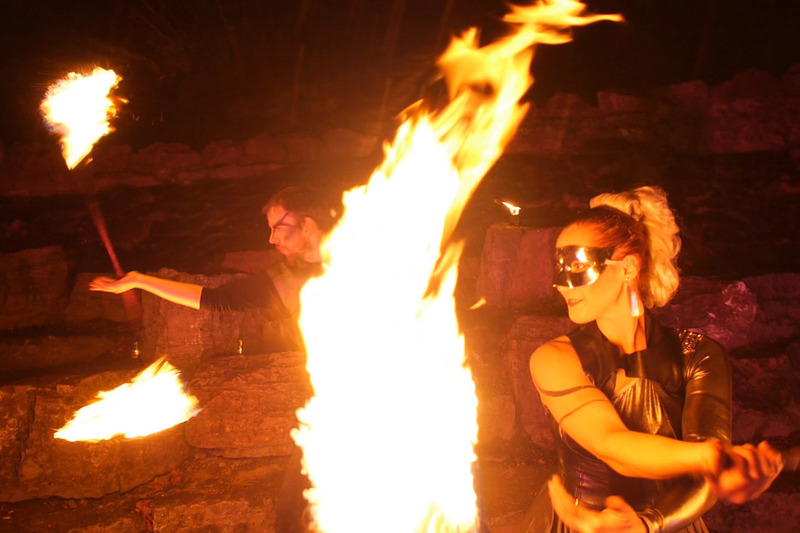 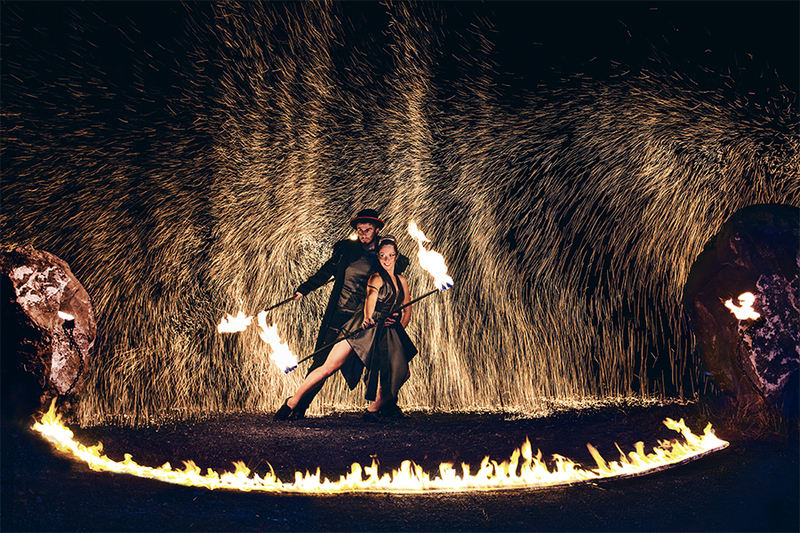 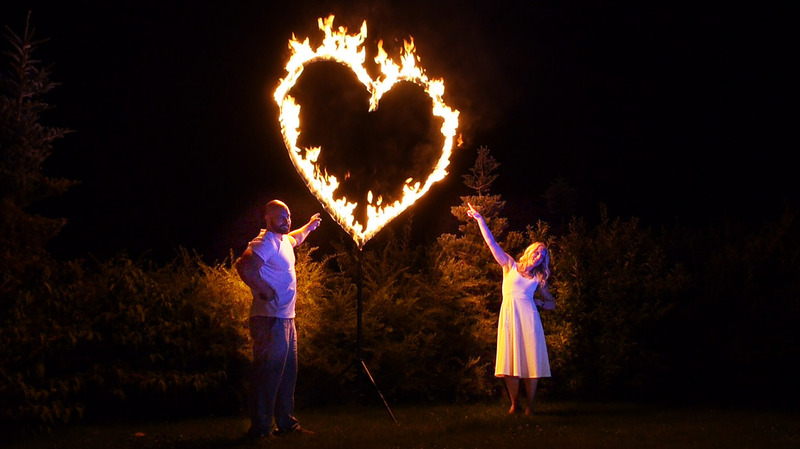 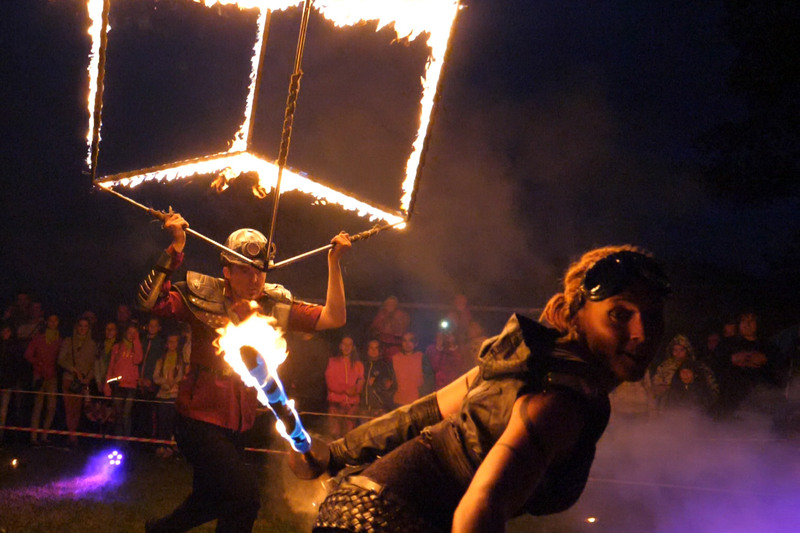 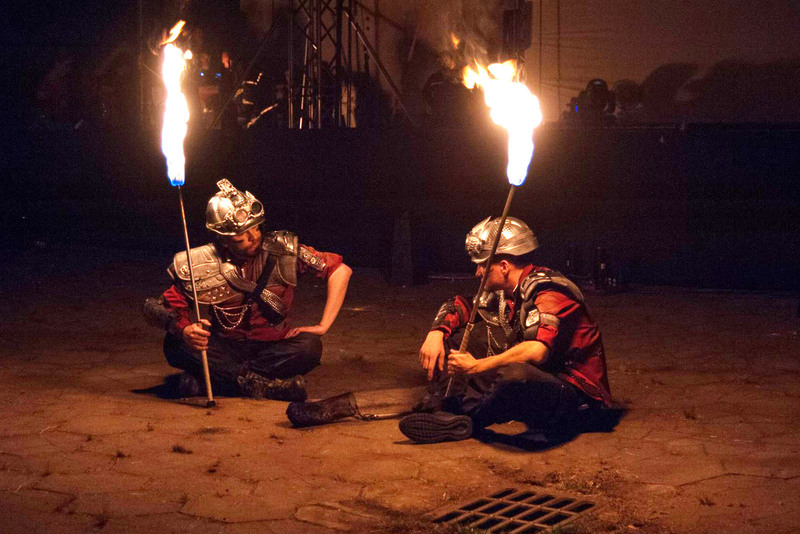 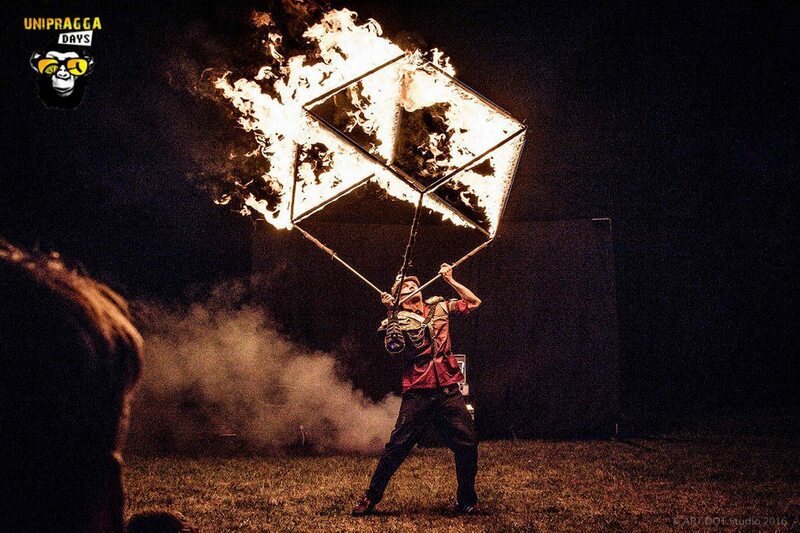 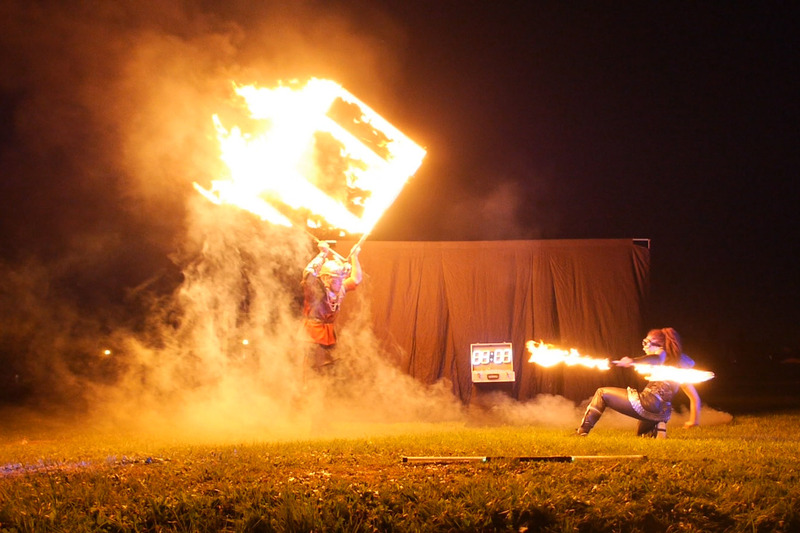 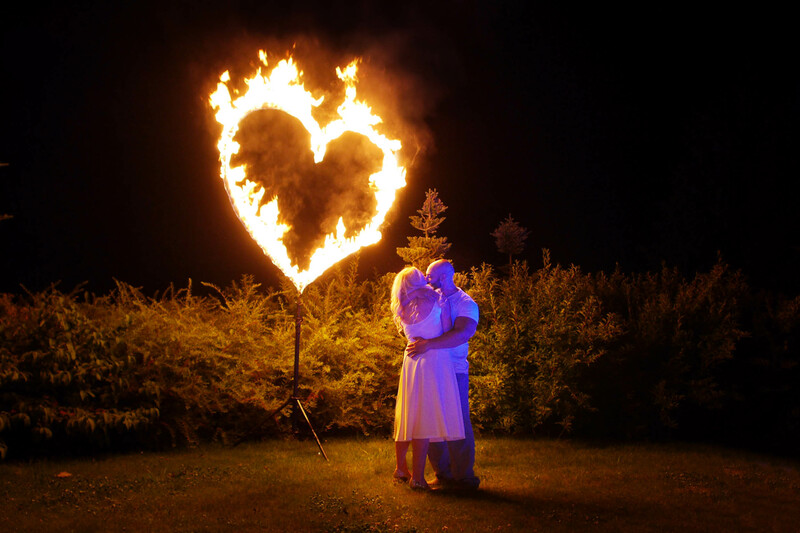 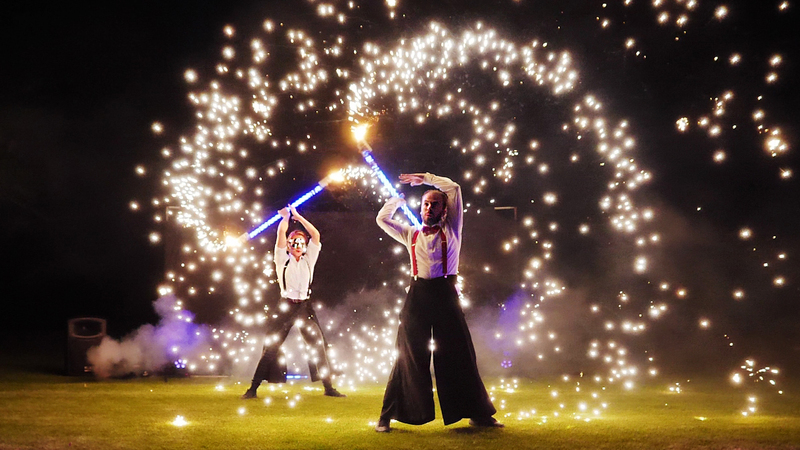 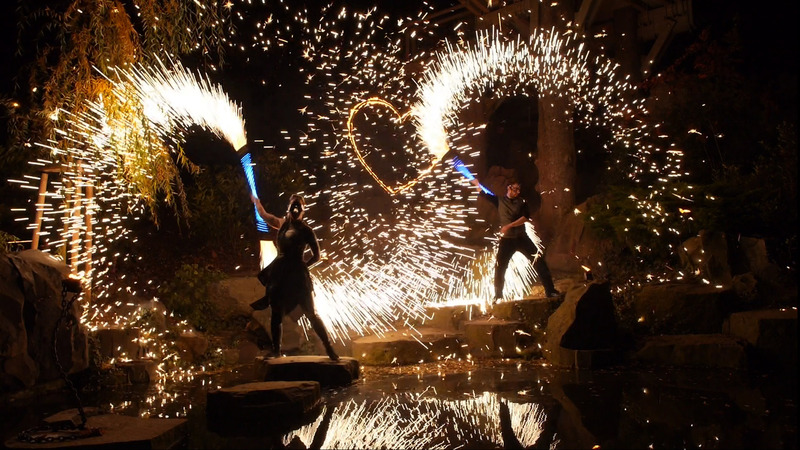 Dynamic fireshow with unforgettable fiery, sparkling and pyrotechnical effects. 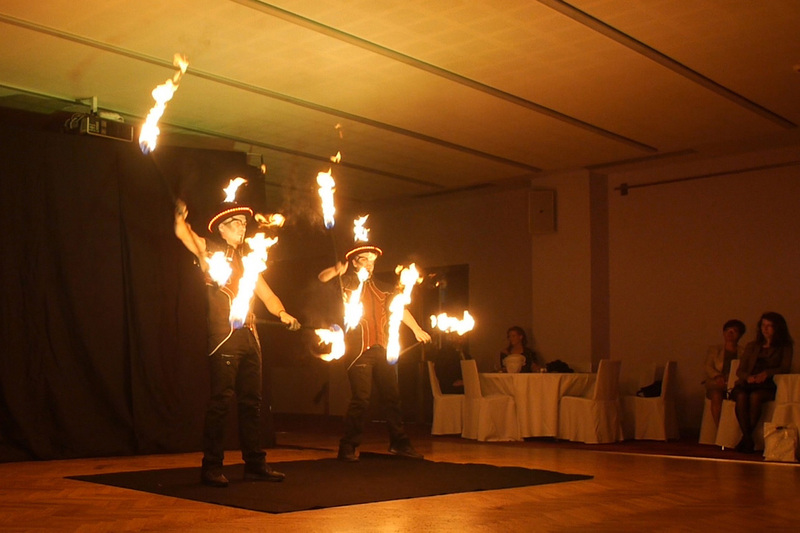 Our performance can be done not only in exteriors, even in appropriate interiors. 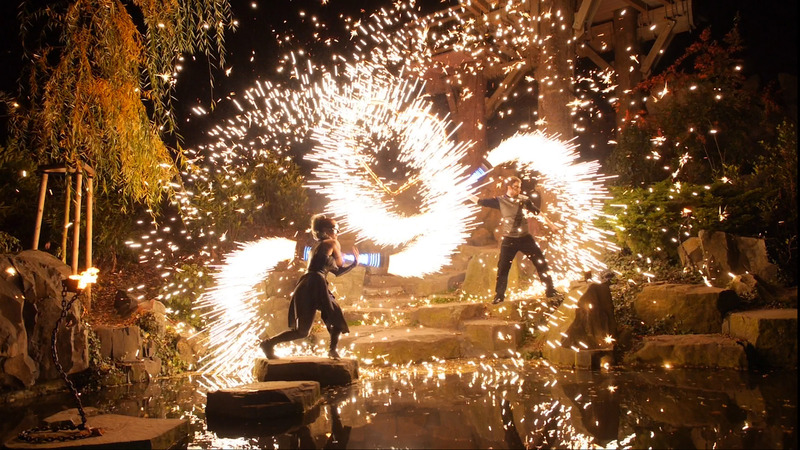 You can see pyrotechnical effects, and sparkling vulcanoes except ordinary flames. 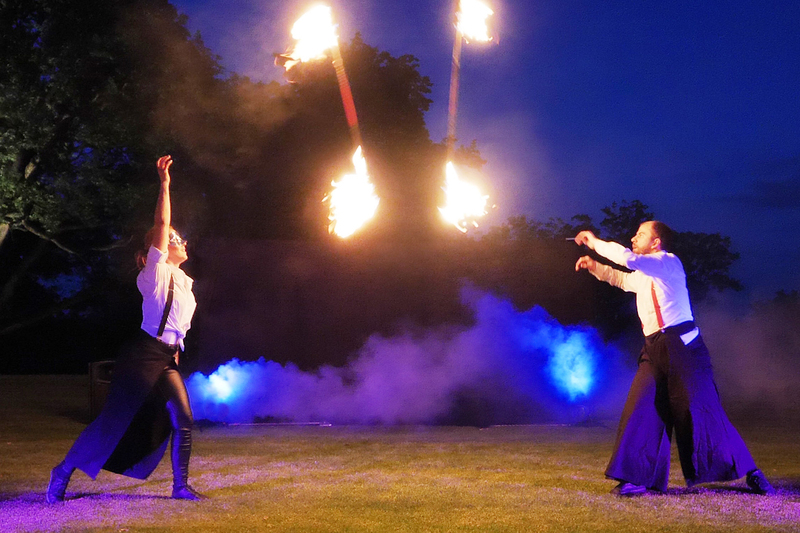 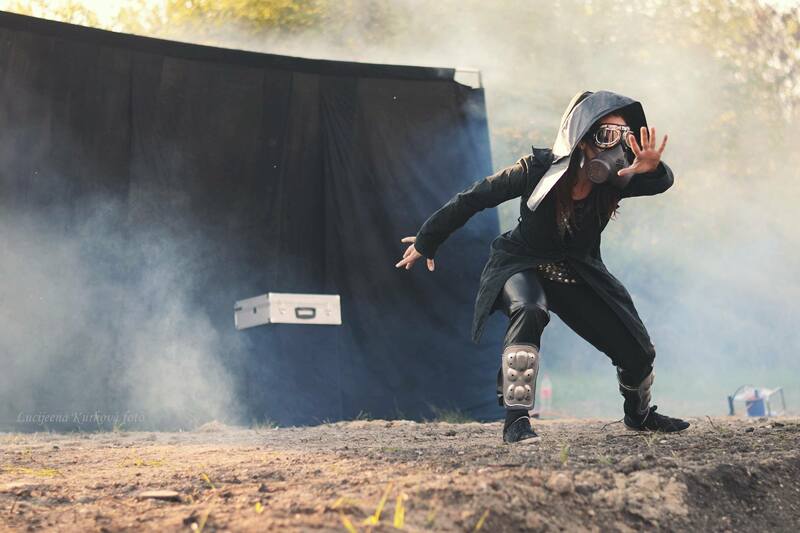 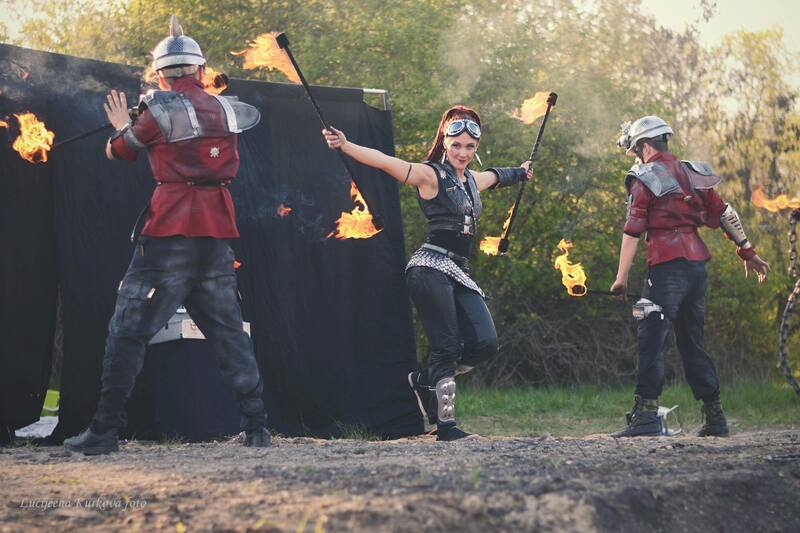 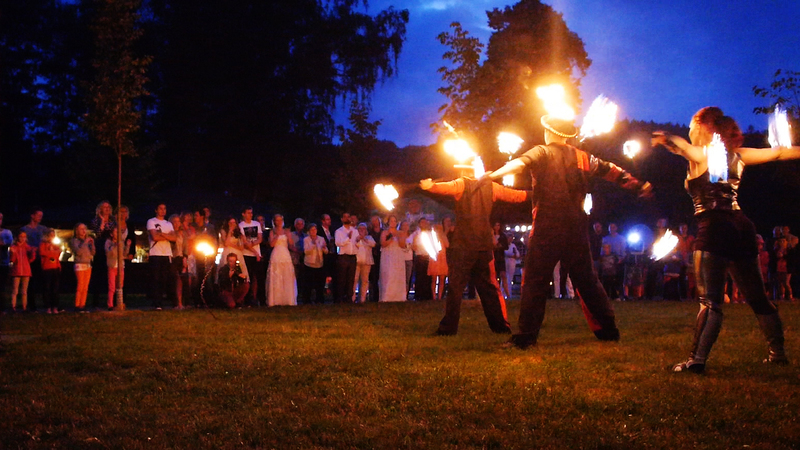 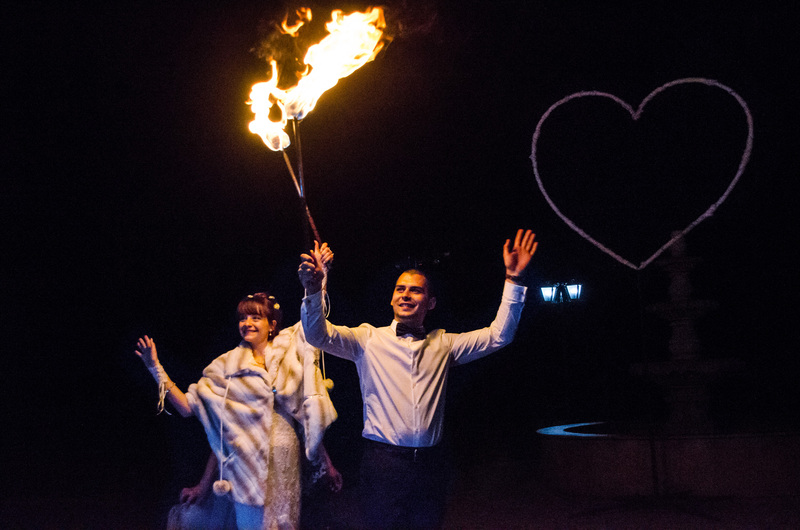 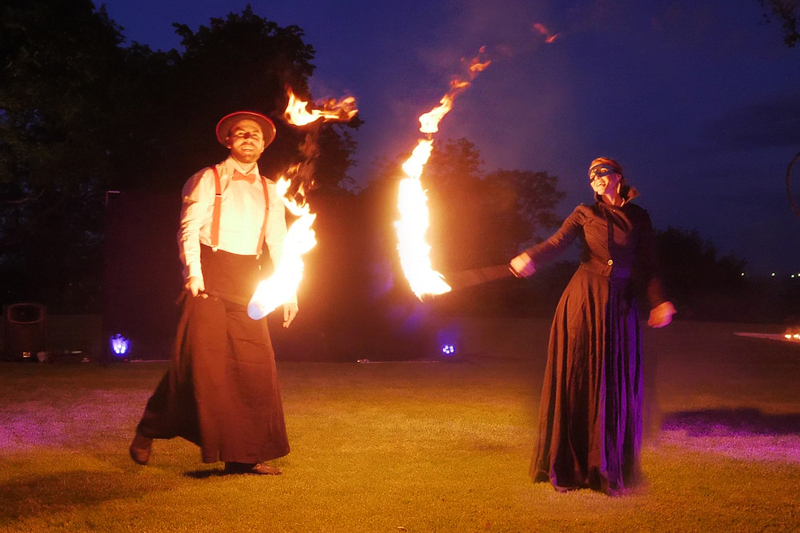 The performance is suitable for balls, smaller corporate or private events or weddings. 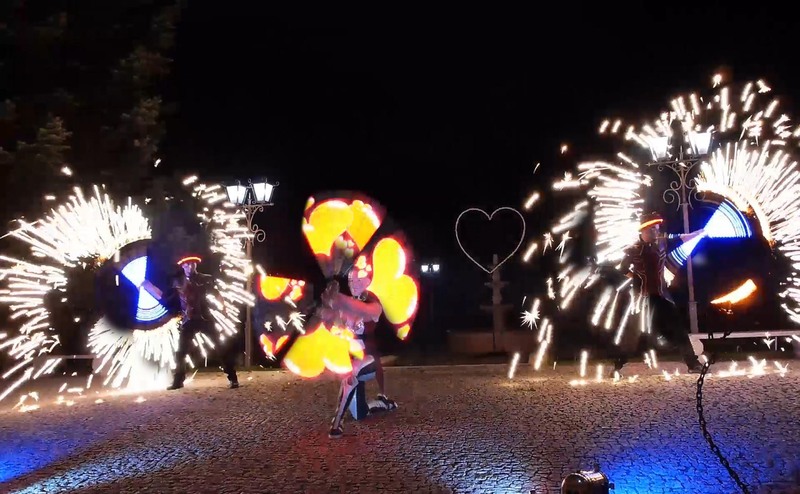 Dynamical changing of fire effects and pyrotechnics. 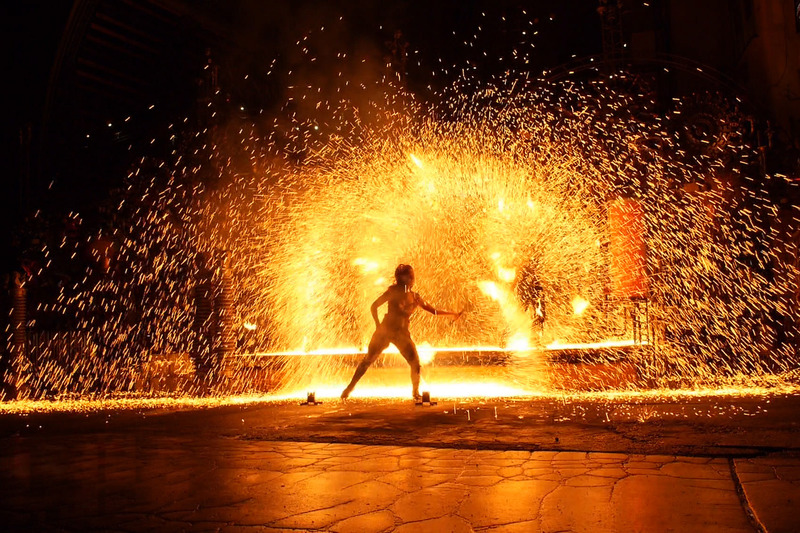 Effects are selected according to the light conditions and the possibility of the space to keep the strongest experience. 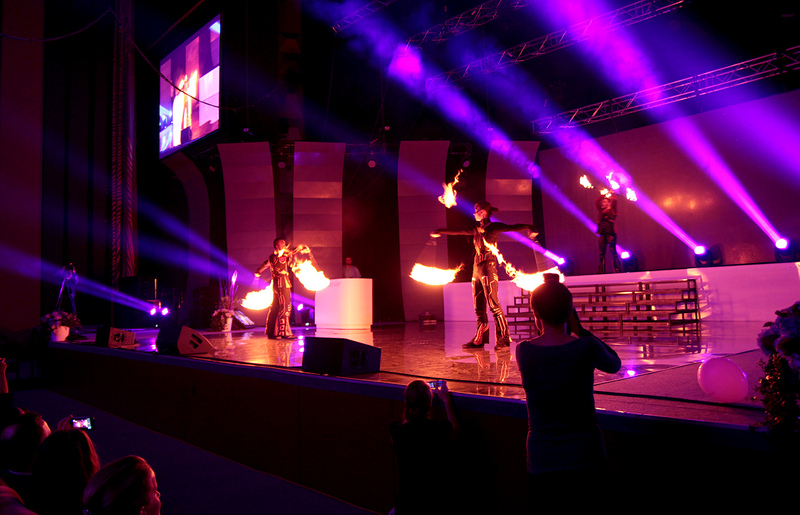 We arrange complete preparations including curtain , light effects and fog. 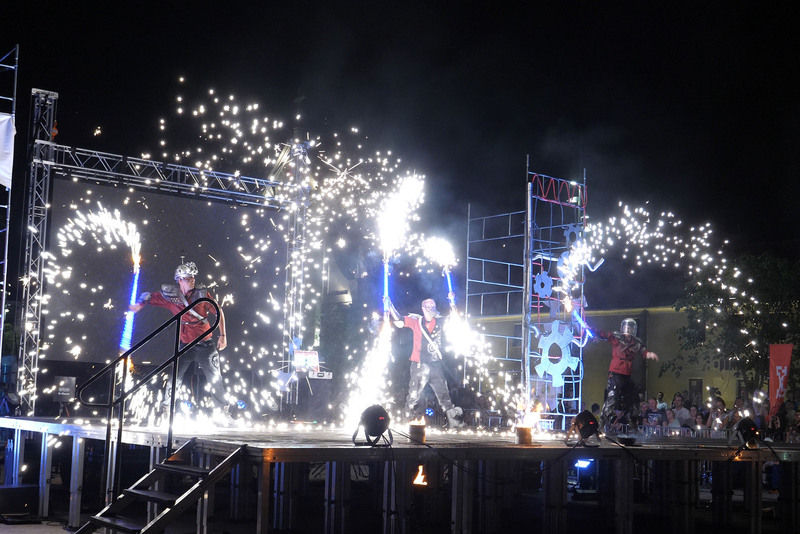 Bigger performance with included plot and fire scenery.